Information and news about Tourism in New Caledonia from Richard and Frederique Chesher, tourism guide publishers and photographers. This is the story of the creation of the Rocket Guide to New Caledonia. Click here if you are looking for the travel guide to New Caledonia itself. If you want the Rocket Guide to Nouvelle Caledonie (in French) Click here. After the success and popularity of the Rocket Guide to Vanuatu Freddy and I decided to develop a similar travel Guide to New Caledonia. New Caledonia is divided into three provinces - The Southern Province, the Northern Province and the Loyalty Islands. In 2005 the three tourism offices of these three provinces wanted a data resource for the whole of New Caledonia. They reviewed the Rocket Guide to Vanuatu and agreed that a Rocket Guide to New Caledonia, done in French, English and Japanese would be an excellent resource for their international promotions and as a learning tool for travel agents. The three provincial governments provided funds to make the Rocket Guide Nouvelle Caledonie a complete database with all tourism players included on a "basic" level. 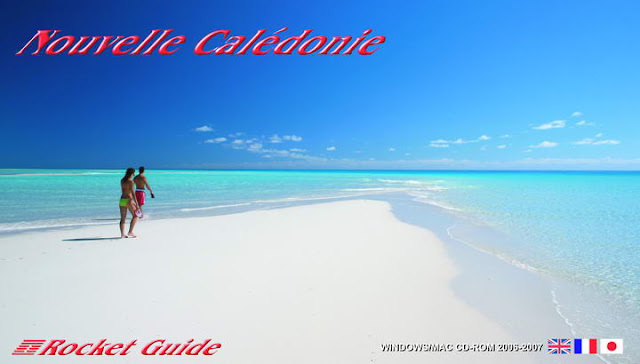 Individual New Caledonia hotels, New Caledonia resorts, and New Caledonia tourism activities supported their own 6 or more multimedia pages and complete photographic coverage in the Rocket Guide. The CD-Rom was mailed in a special mailer I designed. 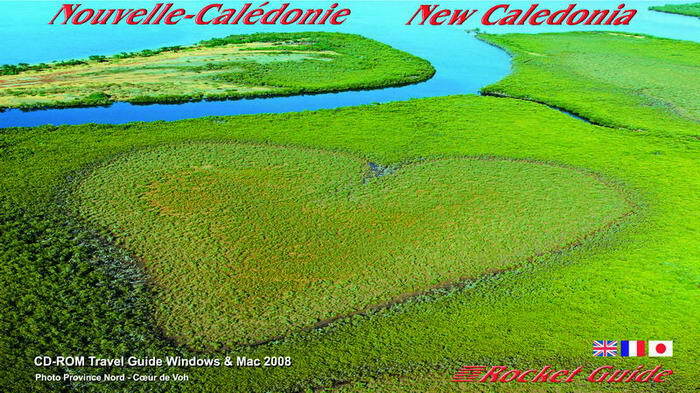 Here is the first cover of the Rocket Guide to New Caledonia published in 2005. The final product had over 700 tourism features of New Caledonia and thousands of high resolution images. The Rocket Guide to New Caledonia is a virtual New Caledonia map ( or carte Nouvelle Caledonie ) that shows all of New Caledonia as satellite images. But the CD Rom travel guide to New Caledonia is far more than just a map. You can, for example, find any New Caledonia hotel with just two clicks and zoom from a view of the entire country from space right down to virtual reality sphere images of the hotels and resorts. The summary about New Caledonia hotels and resorts helps anyone - not just travel agents specialising in New Caledonia - plan a New Caledonia vacation. It's not easy to plan New Caledonia vacations - especially for people who don't speak French. 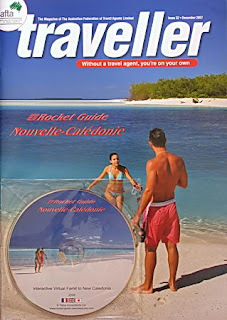 20,000 copies of The Rocket Guide Nouvelle Calédonie were published exactly on schedule in September 2006 and distributed to the Nouvelle Calédonie travel representatives in Paris, Sydney, Tokyo, and Nouméa. The Australian Federation of Travel Agents put the CD-ROM on the cover of their official trade journal Traveller and sent it to every travel agency, wholesaler, and travel specialist in Australia and New Zealand. This special issue of Traveller had a feature on New Caledonia tourism and a tutorial on how to use the Rocket Guide to Nouvelle Caledonie. AFTA says it was their most popular issue of the year and virtually all of their extra copies were sent out. This was the first time a New Caledonia travel publication was distributed by the Australian Federation of Travel Agents and Diane Moynihan, the NCTPS representative in Sydney, reported that the guide was very well accepted by travel professionals. She said, "It's the next best thing to being there." The Rocket Guide Nouvelle Calédonie was also featured in the October and November issue of l'écho de Tourisme where it was described as "un outil indispensable de promotion de la destination pour les voyagistes du monde entire." We distribute the Rocket Guide to Nouvelle Caledonie from www.rocket-guide-newcaledonia.com and www.ile-de-nouvelle-caledonie.com The guide is probably the only item in the history of New Caledonia tourism promotion that travel professionals actually write in and ask for. The Rocket Guide internet site gets requests from travel schools, travel writers, travel agents and travelers all over the world. Now in it's 12th edition, the Rocket Guide Nouvelle Caledonie is still the only travel resource with detailed information about the entire country. Over 60,000 copies of the Rocket Guide to New Caledonia have been distributed to individuals and travel professionals around the world. AFTA had a second special New Caledonia issue with the Rocket Guide on the cover in 2007. Setting up new caledonia holidays is confusing because the majority of websites about New Caledonia are in French and those which are not tend to concentrate solely on Noumea New Caledonia - and especially hotels in Anse Vata Noumea New Caledonia. The guide contains detailed information about flights to New Caledonia and then, if the traveller wants to go beyond Noumea, also finding out about domestic flights in New Caledonia. All the major New Caledonia conference venues, and the better New Caledonia restaurants, are on the guide as well as infromation on, Noumea weddings coordinators, New Caledonia tours nightclubs, bars, and casinos. Noumea is also the gateway to the world's largest coral reef lagoon and the Rocket Guide includes information on New Caledonia fishing boats, New Caledonia boat rentals, yacht charters and boat trips , new caledonia diving trips for Noumea and all of New Caledonia. Isle of Pines New Caledonia hotels, resorts and other accommodation range from very expensive to camping. The Rocket Guide to New Caledonia shows all the accommodation of Isle of Pines on high resolution photographs, both from the air and on the ground - including 3D virtual reality tours of many of the resorts. The Loyalty Islands are only a 40 minute domestic flight from Magenta airport in Noumea. There are three Loyalty Islands, Ouvea, Lifou, and Mare. Lifou is actually larger than the island of Tahiti and has only a couple of thousand people living on it. Our guide promotes a inexpensive way to discover New Caledonia via New Caledonia Fly/Drive a round the island tour of Grande Terre - where the first stop is a new caledonia car rental agency. 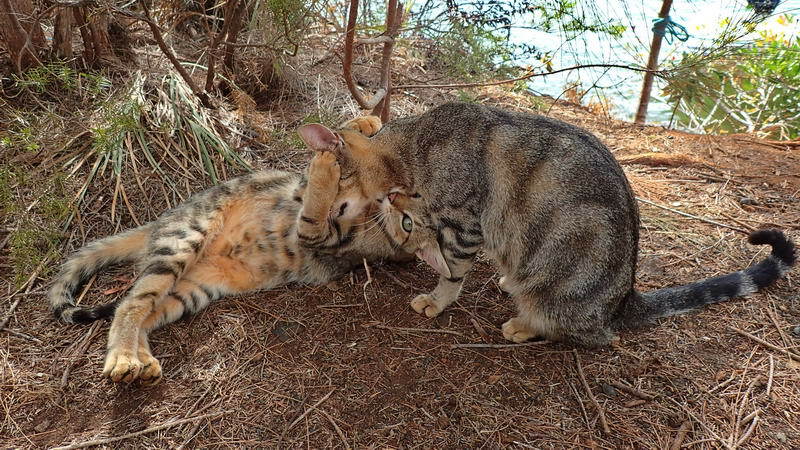 Or perhaps a new caledonia tours agency to arrange a round-the-island safari. Rental car new caledonia are only slightly more expensive than in Australia, so fly/drive vacations combined with camping, is the least expensive (and often the most rewarding) way to travel to new caledonia. The Rocket Guide to Vanuatu CD has a special Fly/Drive holiday section with road maps, camping sites and New Caledonia accommodation, hotels and resorts on Grande Terre outside of Noumea. On the Rocket Guide website you can even check on the long term new caledonia weather forecasts - because the weather in new caledonia makes all the difference between a good vacation and a great vacation. There are a wealth of activities for visitors to New Caledonia - the French people of New Caledonia adore sports of all kinds and are very active. Which means that visitors will find all the facilities they could wish to enjoy themselves. For some sporting ideas see Sporting Events New Caledonia,New Caledonia Horseback Riding and New Caledonia golf courses. 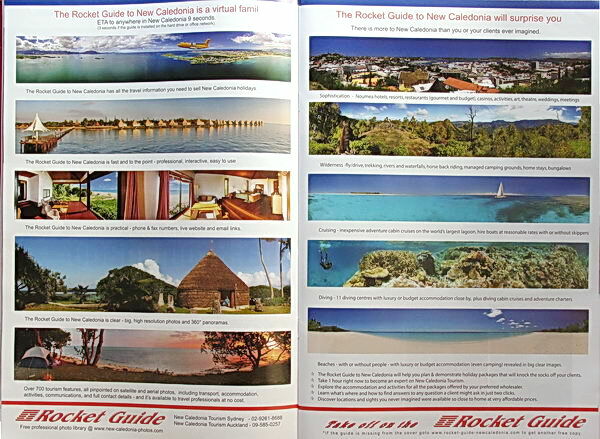 We put all of the images from the Rocket Guide online for travel professionals and for people who are planning their vacation in New Caledonia. The online photo libraries are divided into the following libraries of professional stock photo images. Frederique and I have lived aboard our 44' cutter for 40 years, cruising the South Pacific. We do cruising guides to Vanuatu and New Caledonia as well as the Rocket travel guides to these delightful countries.